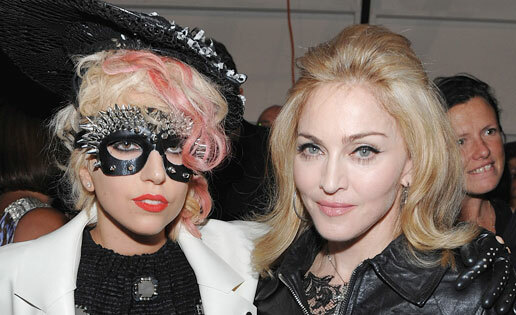 Madonna Says What About Lady Gaga? That’s Not Nice! Well Lady Gaga may be a big fan of Madonna but..
Madonna doesn’t understand why! A French newspaper asked Madonna how she feels having a super famous fan. Well she really didn’t have much to say but her short answer said a whole lot! “As for Lady Gaga, I have no comment to make about her obsessions having to do with me because I don’t know whether her behavior is rooted in something deep and meaningful, or superficial,” Madonna told Le Soir. On the Tonight Show Lady Gaga said that she recieved an email from Madonna’s people supporting her new single born this way. Madonna’s rep later said that they were not aware of any email’s sent to Gaga. Previous Lindsay Lohan Is Going To School For What?! LMAO! Cherish every little thing related to Lady Gaga! Thank you nikkimiami for telling!